My district is planning to move from iPads to Chromebooks. One of the biggest concerns raised is that many of the teachers and students rely on Notability. Has anyone else faced this? If so, how did you handle it? Combine handwriting, photos and typing in a single note to bring your projects to life. Use a wide range of note-taking and sketching tools to capture every detail. You can even add and annotate PDFs in Notability. It’s the perfect place to create and organize work, school, and life’s information! Experiment with different tools to create beautiful, hand-crafted notes and sketches. Continue to scale, rotate, and recolor your ideas and sketches until your notes are just how you want them. Once you’re done, organize your notes. 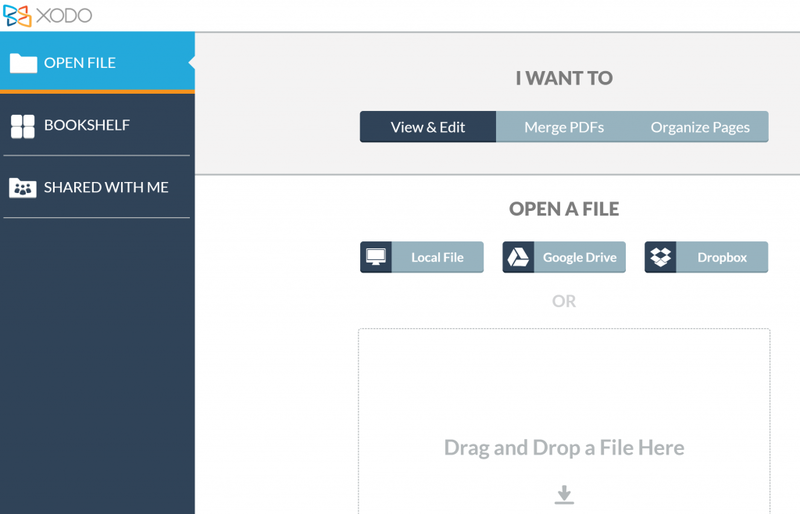 This app makes it a cinch to share your creations via various cloud storage options (e.g. Google Drive or Dropbox). It makes sharing via email and AirDrop do-able as well. Making the transition from this note-taking app to another can be difficult. Let’s take a look at note-taking apps on Chromebooks before we discuss alternatives to Notability. Chromebooks now come in many sizes and shapes and even offer touch screen support. You might consider any one of these models for purchase. There are various alternatives to Notability available. Here are a few that Google Certified Trainers recommend. With the Xodo web app, you can now merge multiple PDFs into one, which is perfect for when you need to compile resources into one package to send to your colleagues. 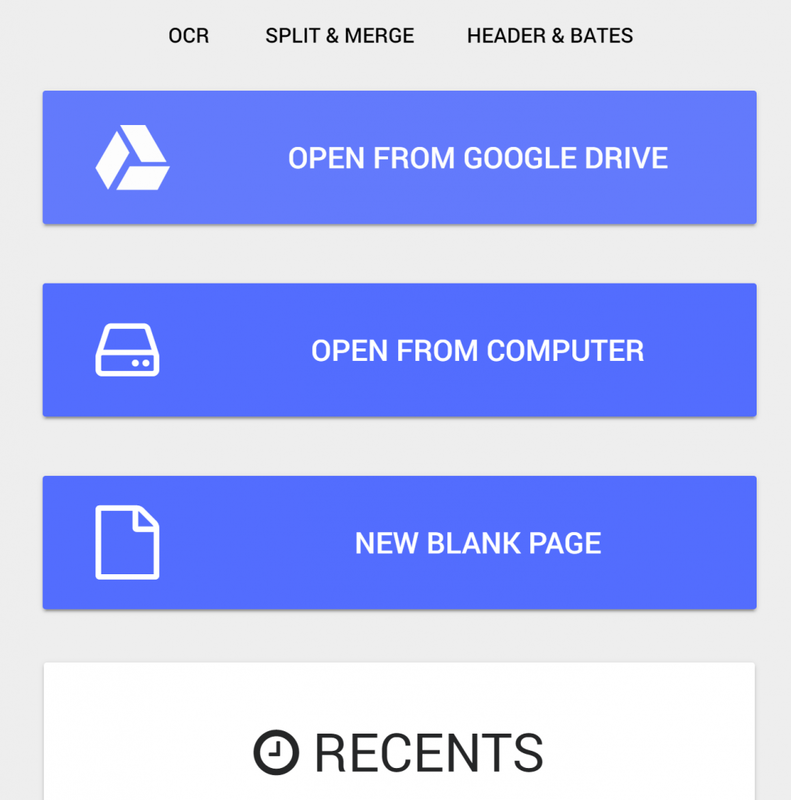 And now you can merge PDFs from your computer and Google Drive. 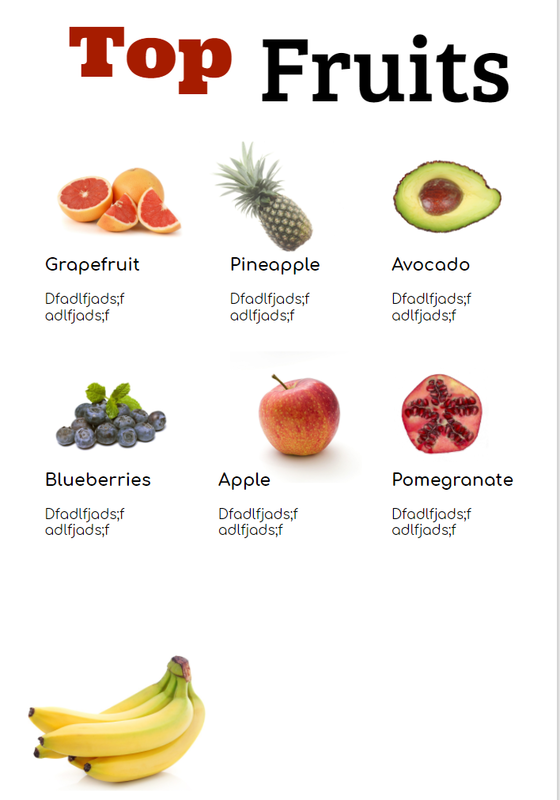 The new Xodo web app provides more flexibility than ever before. You can now insert, delete, reorder, and even rotate pages to manipulate your PDF to fit your needs…Xodo can also open other file formats such as docx, pptx, jpeg, png, cbz, and other image files. This makes Xodo on Chromebooks an excellent choice for a variety of reasons. You can open files from Google Drive and Dropbox, as well as edit existing PDFs that may exist on the web. Annotating a PDF of a concept map is quite easy. With your finger or a stylus, you can draw anywhere on the screen. One limit is that you are stuck with black as the color of choice for your pen. Since Xodo is available at no cost, works great on mobile devices (e.g. smartphones) and on your desktop computer (e.g. Mac, Windows), it is a great choice as a simple Notability replacement. It offers many other options for PDF and image annotation, so give it a shot. I use it on all my devices. Offering free, teacher ($99 annual), and custom district/school pricing, some suggest Kami as an alternative to Notability. Unlike Xodo, you will need to create a Kami account. And, to work with images, you will have to upgrade from the free account. That said, if you will be working with a lot of PDF files, you will be able to do quite a bit. Note all the features available with Kami as represented with the side toolbar. Worth checking out are the comment options. 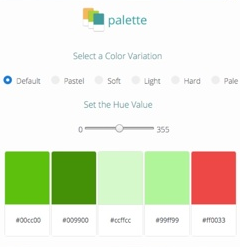 You can leave text, audio, and video comments and have access to a color palette, options lacking in Xodo. The main drawback is the cost. A short two years ago, Microsoft’s OneNote would not have been on my list of apps to recommend for Chromebook. In that short time since, however, Microsoft has revamped and enhanced OneNote, adding an incredible amount of features. While Xodo is one of my favorites, I often rely on the Microsoft OneNote app on Windows 10, Chromebook for capturing content from the web. The OneNote Web Clipper add-on for Chrome makes that a simple process. That’s not all. In addition to being able to draw, highlight text, and insert text boxes, you can record audio and take advantage of the built-in accessibility options (e.g. Immersive Reader). What’s more, availability of the OneNote app on Windows 10, Mac, Android, and iOS make this a cross-platform tool. Amazing as these options are in a Chrome browser, students need to have only a free Microsoft account to access them. In schools or districts that have provisioned staff and students with Office 365 accounts, you get to also use the Class Notebook add-on for OneNote. Teachers can manage OneNote Class Notebook via the web browser; view the video guide. This can be powerful, OneNote and Google Classroom integration options now available. Check out Marija’s OneNote Notebook 6-week course, as well as Nico Paphitis’ resources on OneNote. OneNote has potential for student-paced adaptive learning. See this video from OneNote expert Nicos Paphitis (@PaphitisN). As you can see, there is a rich variety of tools that could meet your needs as you seek to exchange iPads for flexible Chromebook devices. While the alternatives shared above are not a perfect replacement for Notability, good options do exist. These are only a few of the more robust tools. After all, I didn’t mention two other favorites of mine, Web Paint Chrome add-on for drawing/painting on web pages and Screencastify for screencasting and annotation. 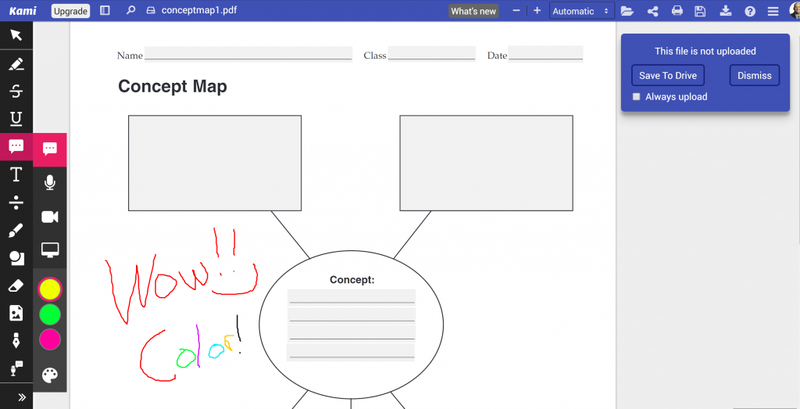 Google Keep offers drawing tools that can be inserted into Google Docs and it integrates into Google Drawing. Give note-taking on Chromebooks a try. You won’t go back. 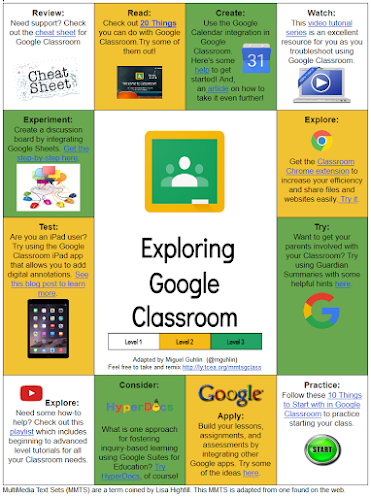 Do you know of a simple and free way to download YouTube videos for G Suites Classroom? Students are blocked from YouTube. KeepVid, the solution I was using, is no longer available. Unblocking not an option. Want to save videos from YouTube and bypass district policies that block YouTube for staff and students? This blog entry will provide you with three approaches to view YouTube videos ad free. You will also see five tips for saving videos from YouTube. Some school districts continue to block YouTube. They rely on technology to control and manage students. However, it’s important to engage students, parents, and staff in reciprocal dialogue about issues like poor content. This dialogue needs to go along the lines of, “Hey, we know there’s bad stuff on YouTube. There’s good stuff, too. Let’s build a culture of trust and openness that leads all involved to make better decisions.” If we don’t teach our students, who will? Why not show the following information to your G Suite administrator with a kind request to unblock YouTube videos? What’s that? You don’t think that’s going to work? Before we go straight to how you can get the videos you want, let’s explore some other options. 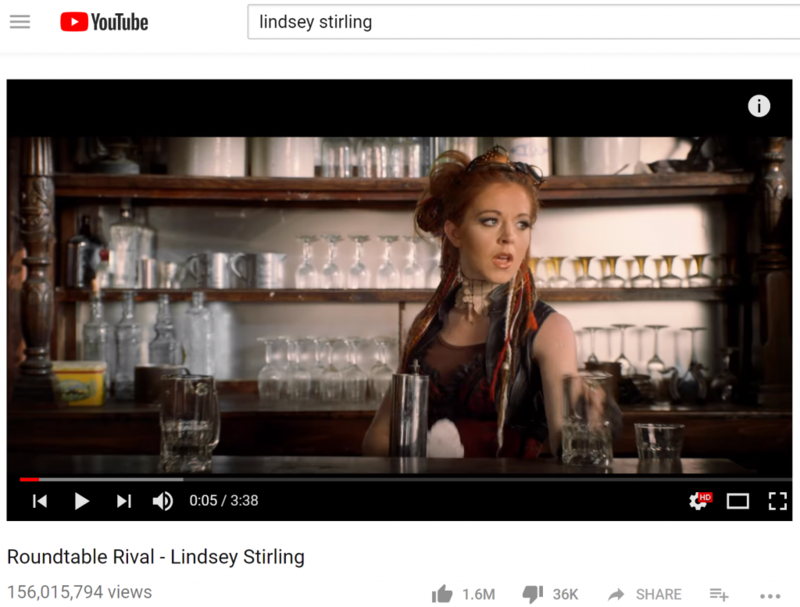 Here are some ways to view YouTube videos without violating copyright, YouTube’s policies, and/or skirting fair use guidelines. NOTE: These quick ways to view YouTube videos will NOT work in an environment where YouTube is blocked. All these “view YouTube” solutions do is shield the viewer from extraneous content (e.g. advertising). They do not make a copy of a YouTube video and then stream it from their own servers. One of the objections people raise about YouTube involves the advertising. Often, inappropriate advertising is put next to wholesome, educational videos. The solutions below assist you in blocking that advertising. The idea is you can watch YouTube videos through a protected window that blocks out unwanted content. 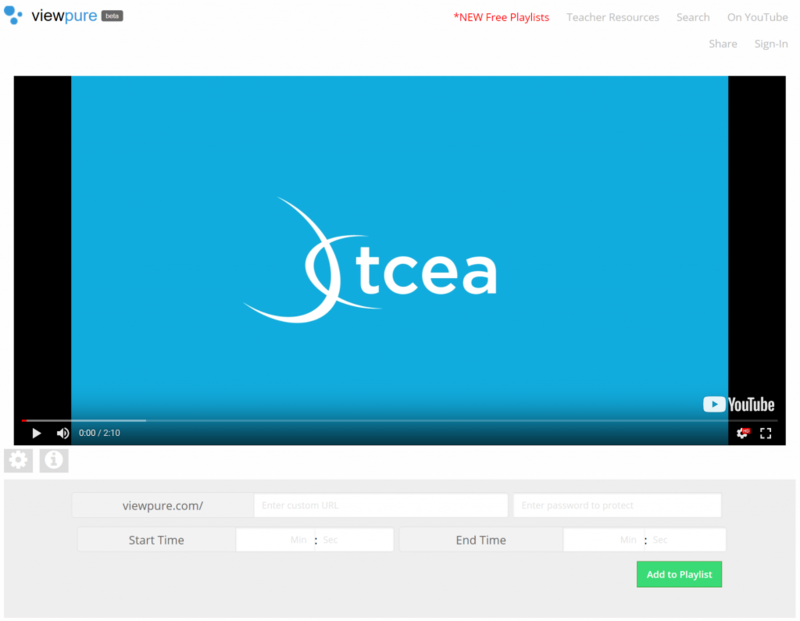 Let’s explore a few solutions using the TCEA Convention & Exposition 2019 teaser video. Watch it on YouTube. Let’s run a few of these solutions through the ringer. This option provides an “uncluttered” way of looking at YouTube. First, paste your YouTube link into the box shown above. 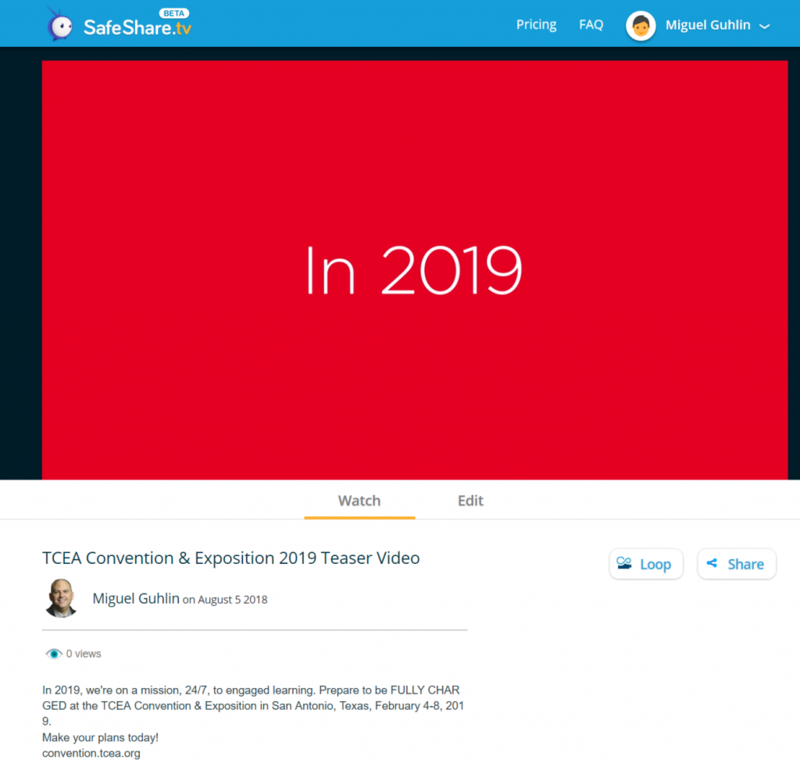 Then, connect your G Suites for Education, Gmail, or Facebook account to SafeShare. This will create an account for you. Once you go through the authentication process, you will see a screen like the one below. The process was painless. With the free account, you can create up to twenty safeviews, two playlists, watch unlimited safeviews, and adjust your video’s range. If that’s not enough (how could it really work in a flipped classroom? ), you can upgrade to Premium. The paid version offers unlimited everything, including link customization and shortening. And educators and students get a 50% discount off the regular $99.99/year Premium price. With the free version, you have to delete viewed videos and then create more to get around the limits. Like SafeShare, ViewPure enables you to “watch YouTube videos without comments or other distractions.” Unlike SafeShare, ViewPure does not require you to create an account. You only need an account if you want to get a custom web address (URL), password protect the video, enter start time/end time, and/or add the video to a playlist. Another approach you can take it to rely on a Chrome browser extension. Video Adblocker for YouTube blocks all ads on YouTube, “including roll video ads, text and banner ads.” This is a slightly different solution than SafeShare and ViewPure in that it does not rely on website processing of YouTube videos. Instead, it allows you to watch YouTube videos on site, blocking all ads. Compare the two videos below, the first without Video Adblocker enabled, the second with. 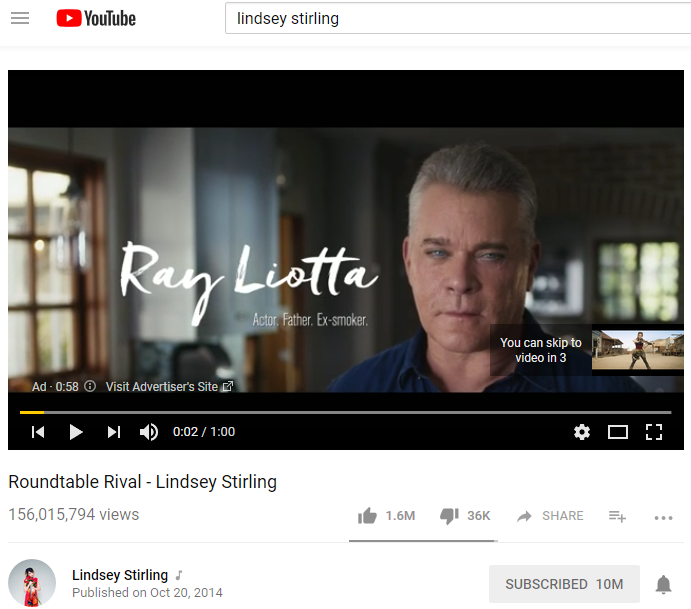 Wait, this does not look like Lindsey Stirling…more like Ray Liotta in an ad. Not one of these approaches will make it possible for your students to view YouTube if it is blocked at the district level. So what else can you do? Your only recourse with blocked YouTube videos involves violating YouTube’s policy. TechAdvisor has a whole article dedicated to the topic. They count the ways you are violating YouTube’s policy. Need a summary? You’re not supposed to download or save videos from YouTube. Period. Ok, now that the point is clear, here are some ways to temporarily save videos off of YouTube so that you can share the useful content with your students. With unlimited storage space in Drive for G Suites for Education users, you can copy saved videos in MP4 or webM format. Here’s a short tutorial. Or, in lieu of cloud storage, save it to a USB flash drive and then move the video file to your school computer. This approach is elaborated at length in the Simple Video Tricks blog entry. You can get the Chromium browser (works just like Chrome) Torch. This free browser has built-in Media Grabber (it’s a button on the tool bar). You just click that button. In a moment, the YouTube video you are looking at saves the video in MP4 format to your computer. MP4 video format is a standard type of video file, so you should be able to play the video with built-in video players on Windows, Mac, Chrome, or GNU/Linux computers. Another go-to is Firefox’s add-on Video DownloadHelper. This add-on requires using the Firefox browser. You can save YouTube videos in various formats. You can also save videos from “DailyMotion, Facebook, Periscope, Vimeo, Twitch, Liveleak, Vine, UStream, Fox, Bloomberg, RAI, France 2-3, Break, Metacafe,” among many others. Since it works as a Firefox add-on, you can use this on Windows and Mac computers alike. Note the highlighted ss in front of the “y” in the link. Take a moment to click the links to see the difference. This solution, ClipConverter.cc, bills itself as “a free online media conversion application, which allows you to reocord, convert and download nearly any audio or video URL to common formats. Currently supported services: YouTube (HD, 720p, 1080p, 4K), Vimeo, Facebook Video and many more.” It also features a browser add-on that works with Firefox, Chrome, and/or Safari. 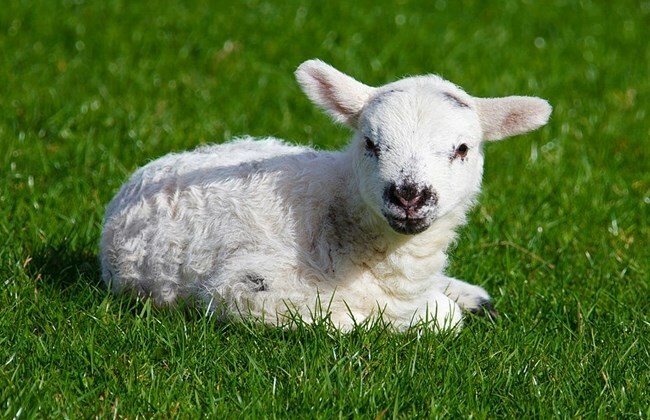 Disclaimer: No lambs or sheep were injured or kidnapped in violation of YouTube’s terms of service. Whew, I had to share that in light of the next tip. For Windows users, you can use aTube Catcher. The program is free and makes it easy to save YouTube video playlists (like fifty videos or more in a playlist). For example, if you wanted to grab all the top Lamb Chop’s Play Along songs, you would paste the link to the playlist into ATube Catcher. Below is what that process looks like. Never heard of Lamb Chop’s Play Along television show? Be sure to listen to this unforgettable song. Vicki, as Uncle Ben Parker allegedly (Voltaire said it first) said to Peter Parker, “With great power comes great responsibility.” Now that you know how to get videos from YouTube and save them as MP4 video or MP3 video format, what will you do? Screencast the video wanted. Add teacher commentary (fair use for educational purpose evades copyright issue). Host on Google Drive. Charity’s suggestions have merit. I like Screencastify as a screencasting tool. 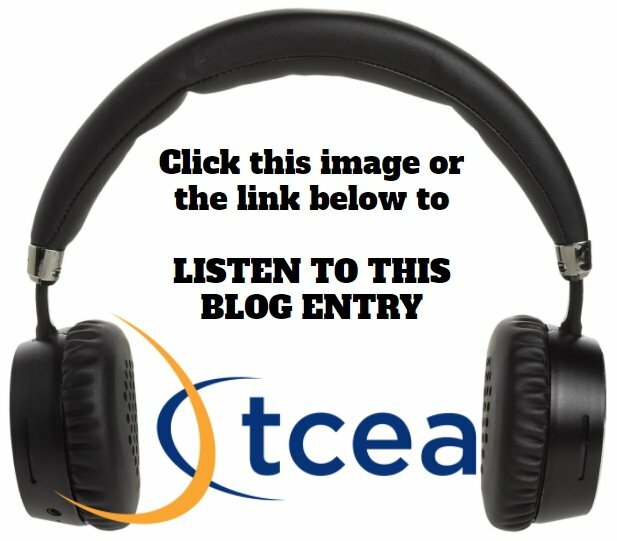 You can find a few more screencasting tools in this blog entry, Flipped Learning Tools. 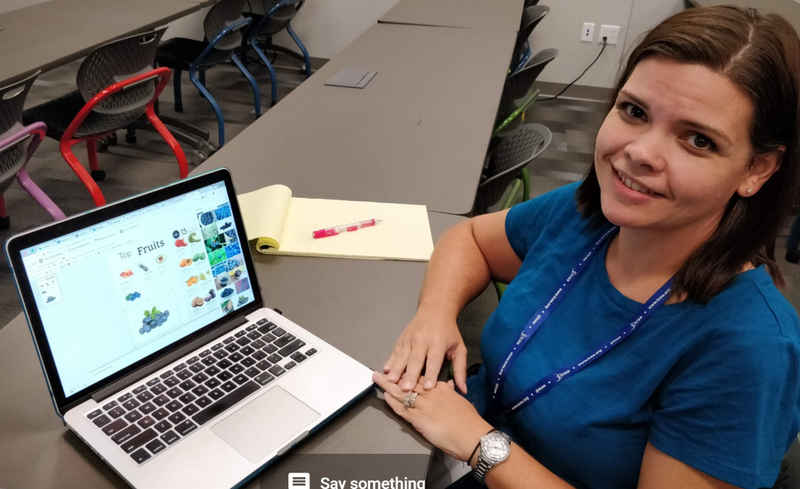 In my Infographics Made Simple workshop session at the 2018 TCEA Chromebook Academy, I shared some of the infographic templates I had made. 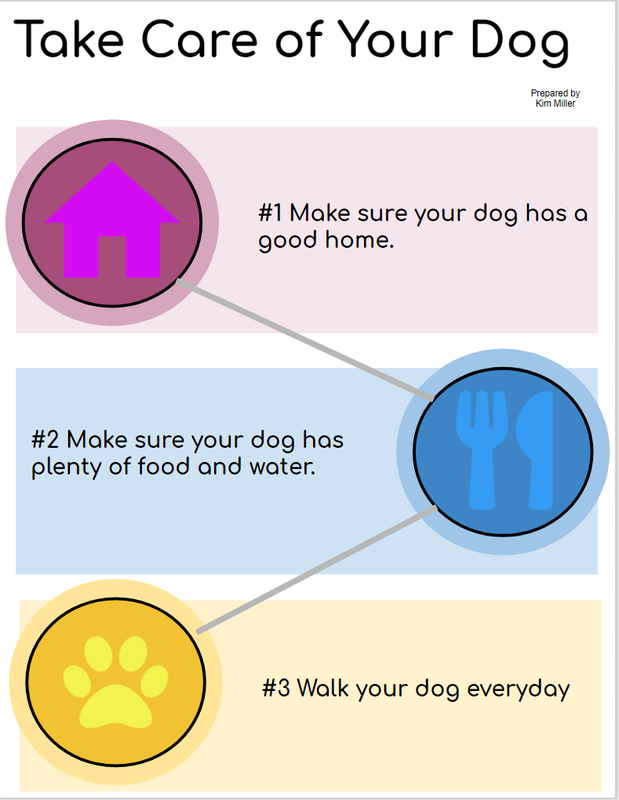 Since I first wrote the blog entries, Infographic-Creation Strategies for the Art-Challenged and Infographic Templates with Google Slides, I’ve learned a few more tricks. These tips come in the form of Chrome extensions or add-ons. Microsoft user looking for Powerpoint templates for infographics? Here are over 15 templates to get you started. May I share some of my tips with you? When the usage rights are modified, your image results are different, as shown below. 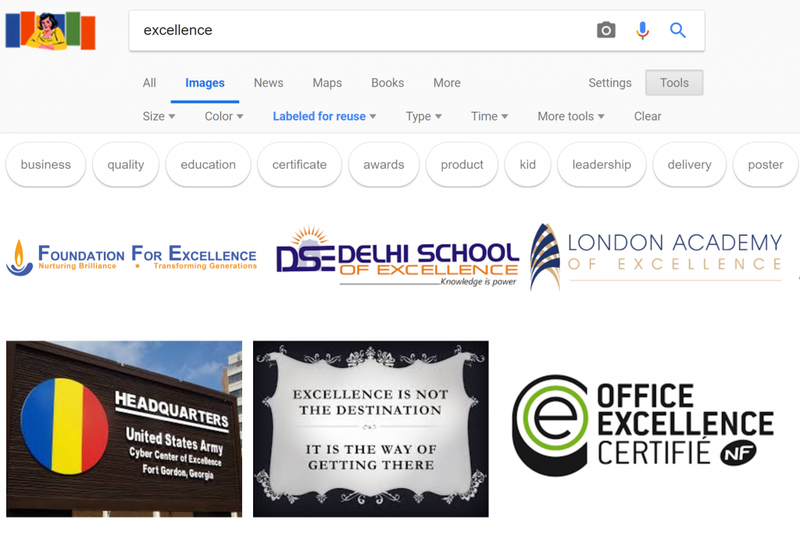 Try Google Advanced Image Search: It gives you enormous flexibility in tailoring your search results. In addition to specifying the image’s color, size, and file type, you can choose Filter Explicit Results to block inappropriate pictures. Specify the usage rights to include various levels of reprint permissions. You may have to go through several pages of images (try these image sites first) before finding the right one. You can rely on tools like Cite This For Me, Apogee, MyBib, and EasyBib to get the citation for the image in MLA/APA format. 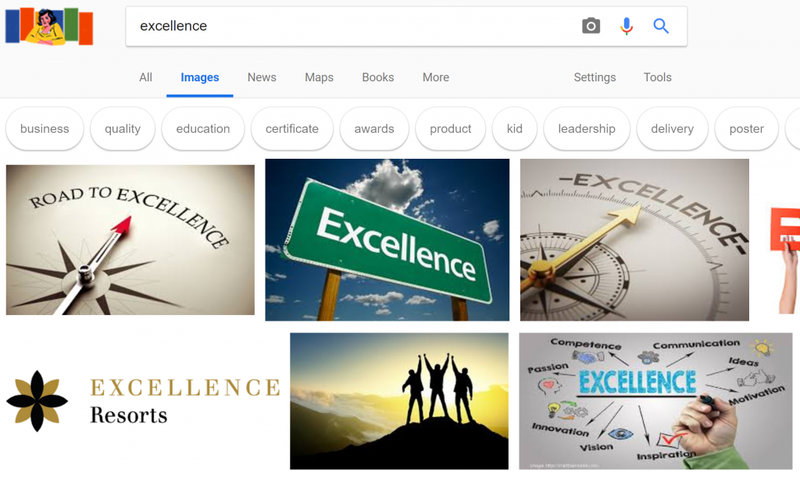 Here’s what Cite This For Me looks like in action with an image that captures “Excellence.” Note the citation Cite This For Me provides appears below the image. While you won’t always need to include citations for images in your infographic, it never hurts to keep track of where you picked up your graphics in case others ask. Read Helping Students Find and Cite Photos blog entry. Teaching students to correctly cite resources they use in their reports can be a difficult task. But this website can make it much, much easier, both for the students and for their teachers. 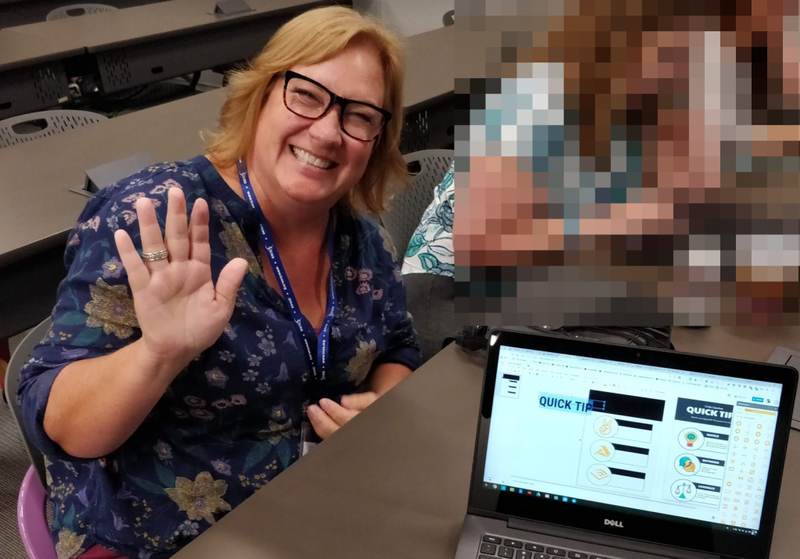 “Have you seen the Insert Icons into Slides add-on?” asked Kathy Miller (@millerk813) in my Infographics Made Simple session. Of course, we had not. “There is another add on for Docs and Slides called Unsplashed Photos. It has free-to-use HD pics; makes every copyright librarian happy!” Kathy shared. She followed up with sharing the Icons by Noun project. 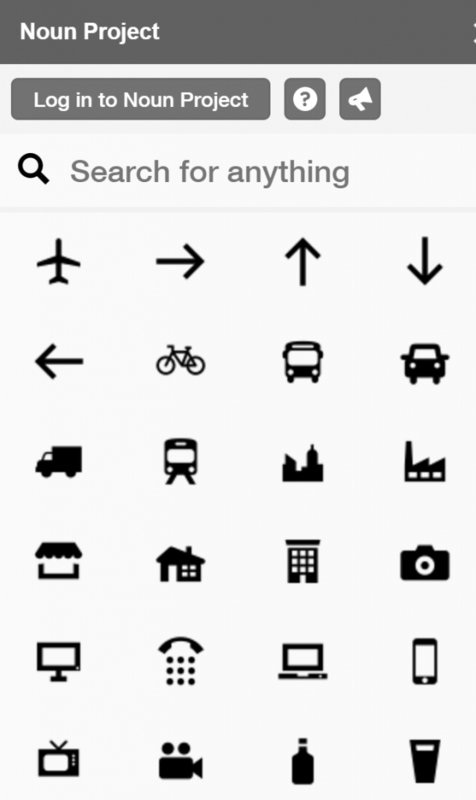 Icons by Noun, another source of icons, works in Google Docs. 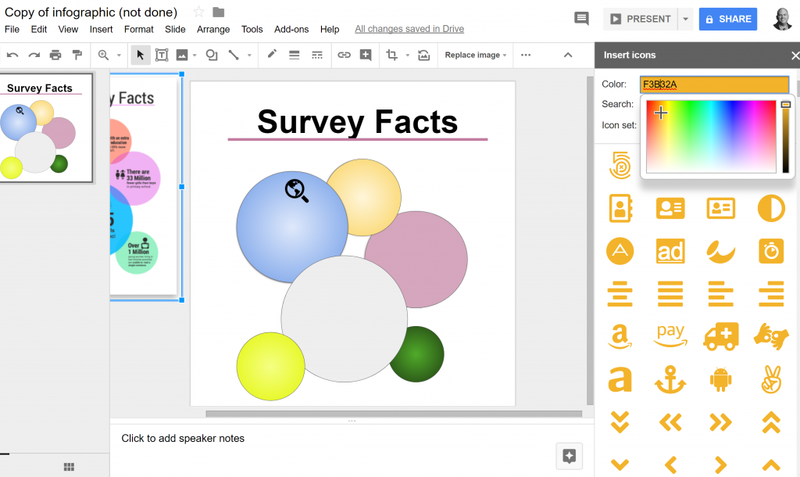 While Google Docs isn’t my preferred infographic tool (Google Drawings and Google Slides are my favorites), you can grab icons in Docs and then copy and paste them. 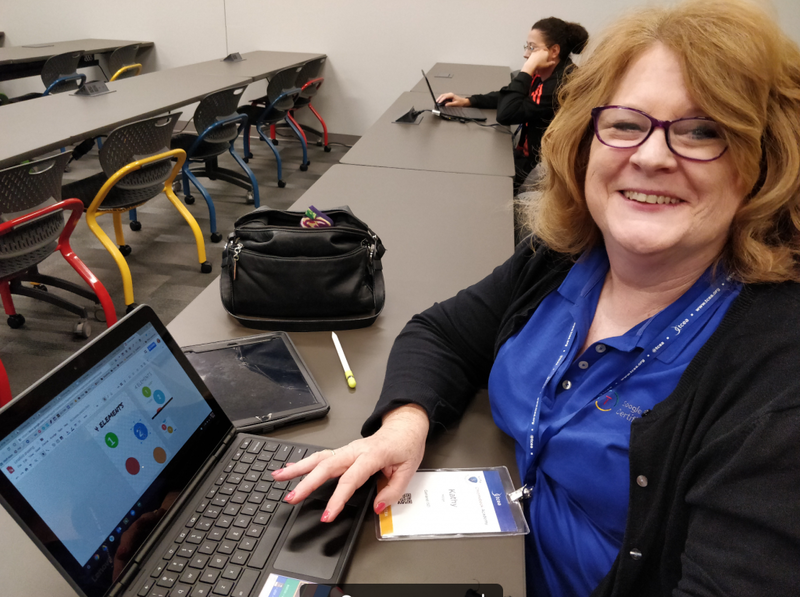 What’s amazing about events like the 2018 TCEA Chromebook Academy? I learn as much as I share. A hushed silence falls over a room when creative professionals start making. In my session, participants got to work quickly. 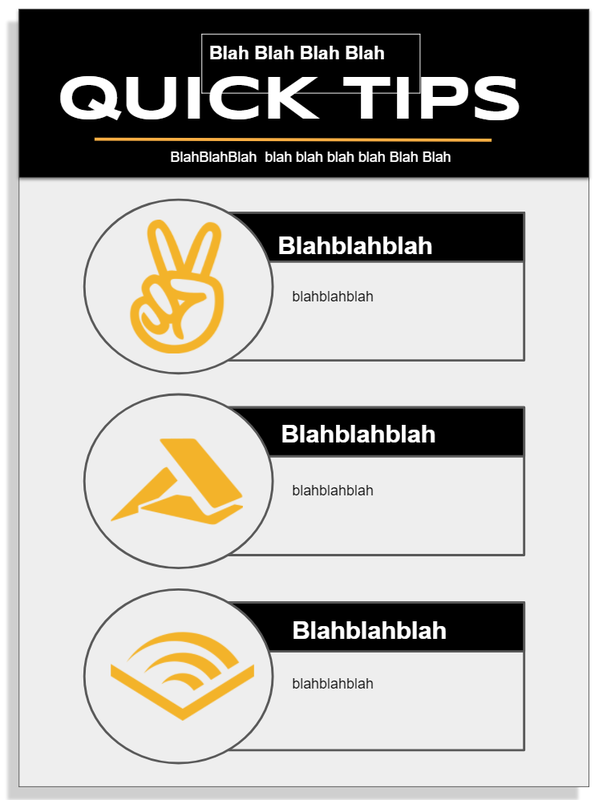 Some, though, found themselves enjoying all the Chrome extensions and add-ons that make infographic creation fun. One of them loved my share of Fireshot, an image capture tool that works in Chrome (also try Full Page Screen Capture). Another liked the mention of Windows tools like PicPick and the venerable Snipping Tool. Curious about what session participants came up with? See their incomplete creations linked below. You can see more pictures of infographic makers. 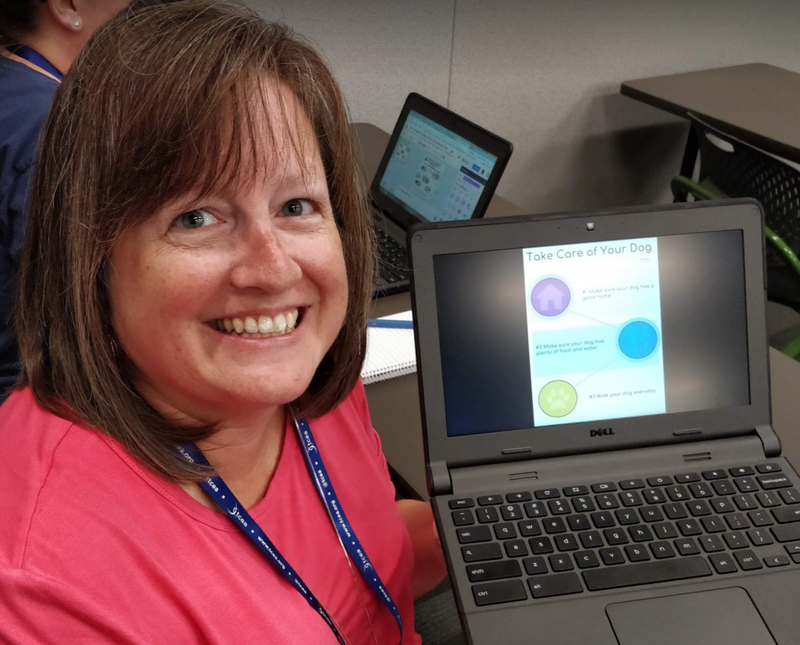 Check out creations from others in the session, including Korie’s “The Qualities of a Great Student” as well other infographic templates at Infographics Made Simple website. Classrooms are diverse. Curriculum needs to be designed from the start to meet this diversity (Source:Universal Design for Learning (UDL) video). Several Texas districts have adopted Chromebooks. How can UDL play a role? 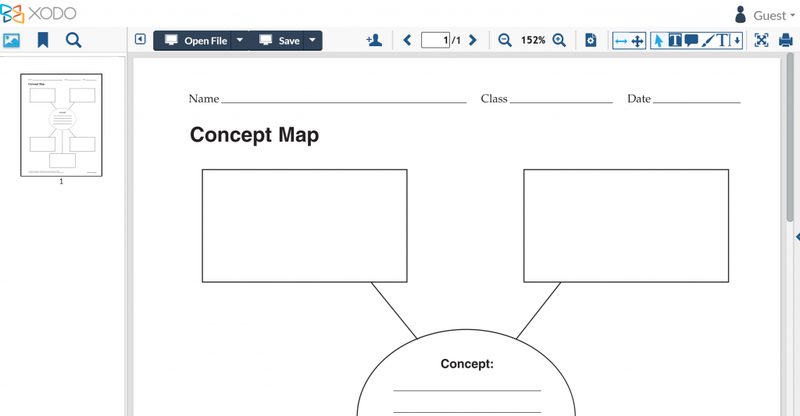 One way includes ebook creation with tools like Book Creator. See the connections that can be made between UDL and Book Creator. 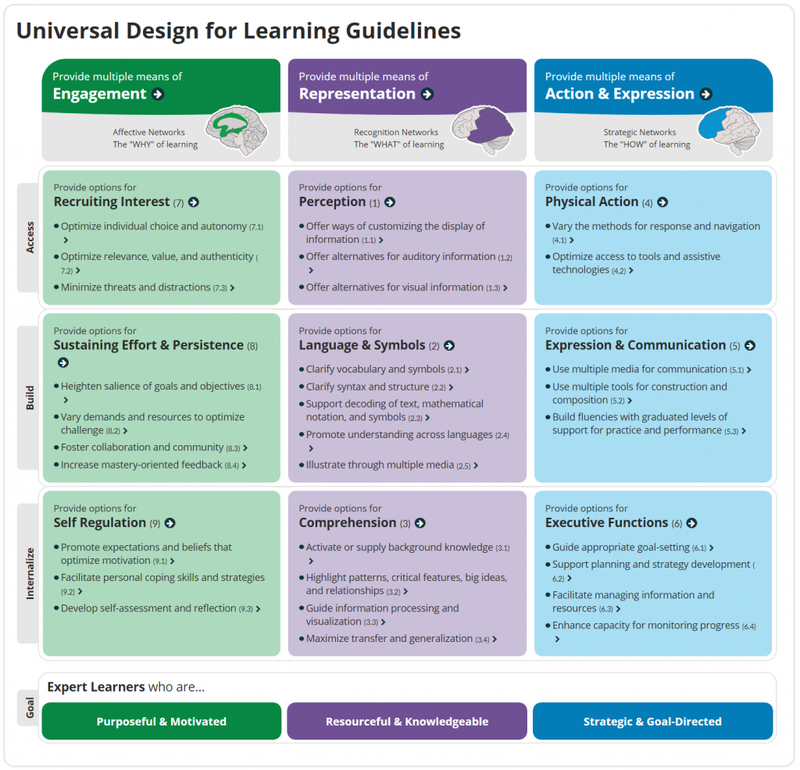 Before we do that, let’s revisit Universal Design for Learning (UDL). 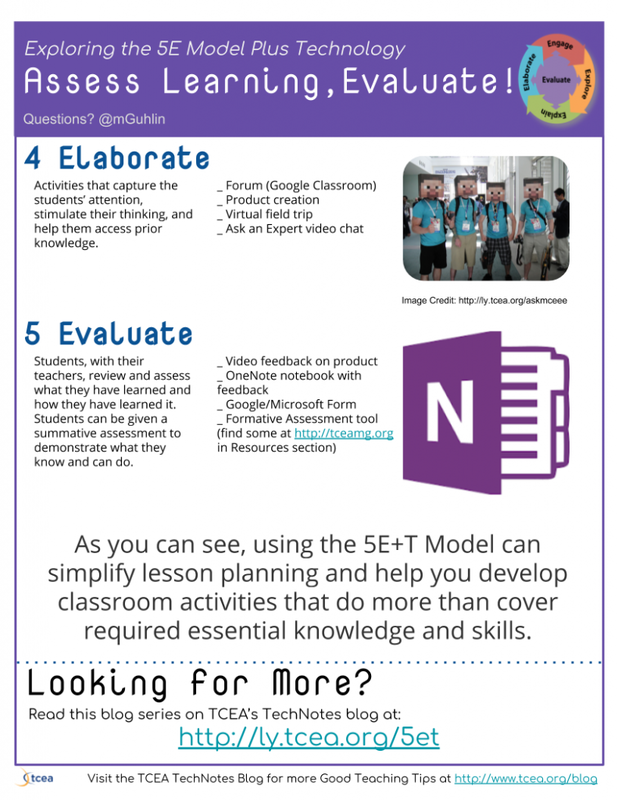 Engagement – Engaging learners. This is about motivating others to learn (Source). Representation – Giving learners different ways to acquire information and knowledge. Action and Expression – Demonstrating what they know in many ways. “These three priorities align with different neural networks. They answer the “what,” “how,” and “why” of teaching and learning,” says Jules Csillag in How to Use Technology to Support UDL. Let’s examine how one of these priorities aligns to a tool like Book Creator. Did You Know about Book Creator? Reading and creating ebooks can support UDL. One ebook maker tool is Book Creator. I featured it in this blog entry on Creating gBooks, er, eBooks Just Got Easier. An excellent tool, Book Creator allows for collaborative ePub creation. Students have created over 15 million ebooks. It works on Chromebooks, iOS, Android, and Windows devices. Book Creator allows you to create a simple ePub without media. You can create an enhanced ePub with video, audio, and more embedded. Read their blog for TONS of ideas. Countless technologies are available to educators. One technology, popular on tablets, became available for Chromebooks. Let’s explore one of priorities of the UDL guidelines and checkpoints with Book Creator in mind. Build: From this perspective, it is important to “create cooperative learning groups with clear goals, roles, and responsibilities” (UDL Checkpoint 8.3). Constructing ebooks provides rich opportunities for cooperative groups. Challenged to combine text, images, audio, and video, students can create various products such as interactive stories, digital portfolios, research journals, poetry books, science reports, and instruction manuals. Book Creator makes comic adventures possible, too (Source). Internalize: Assisting students in facilitating “personal coping skills and strategies” (UDL Checkpoint 7.2). These strategies can be blended into cooperative learning group dynamics. Students can learn how to behave and work together more effectively over time in cooperative learning groups. More connections are possible for Representation and Action and Expression, too. Student books can be read aloud via text-to-speech capabilities. Book Creator can highlight words as they are read. 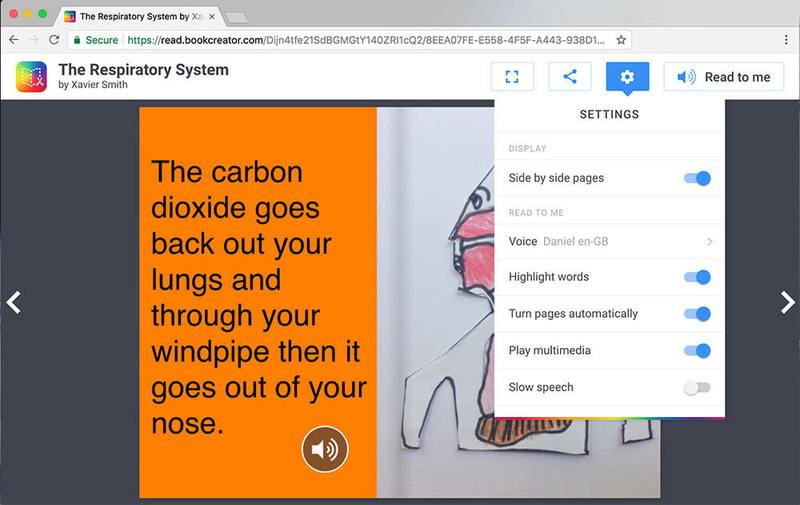 Students can set the pages of the book to turn on their own. Readers can choose a language or voice, as well as control the speed of reading. Students can auto-play any media. Ready to learn more about UDL and Book Creator? Get the Chrome browser add-on. The Google Calendar is a little used jewel for keeping you organized. This is especially true for a teacher who has a never-ending list of things to do and places to be. I have a confession to make — I am lousy at using lists. I make them, but then rarely use them to guide my day. Instead, I’ve found that I work best by using a calendar to track my tasks as well as my events. Let’s explore a few ways a teacher can use the Google Calendar to keep them on track and organized. Before we look at specific uses, we need to review some of the basics of Google Calendar. The calendar allows you to create multiple planners that can be toggled on and off. This allows you to create calendars that have a specific purpose (homework, lesson plans, cheerleader practice) that can be shared separately. However, you can also view them together. In the above image, you can detect the different calendars by their color. The next thing you need to understand is that Google groups your calendars in two lists — My Calendars and Other Calendars. My Calendars are calendars that you created or were created for you and that you have been given the ability to manage. These calendars are located at the top of the list of calendars. 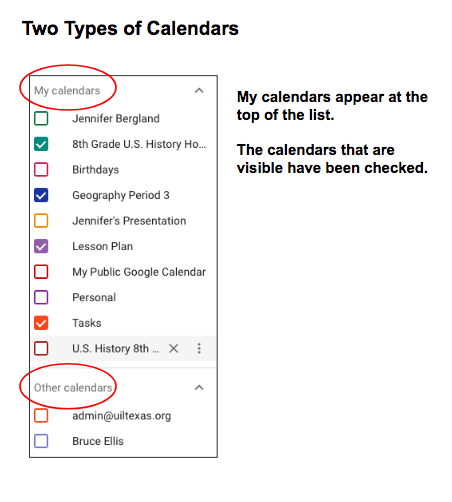 Other Calendars are calendars that you have added or that have been added for you by your G Suite administrator. This list of calendars is below the calendars that you own and/or manage. Let’s start by creating a calendar to help your students and their parents keep track of assigned homework. 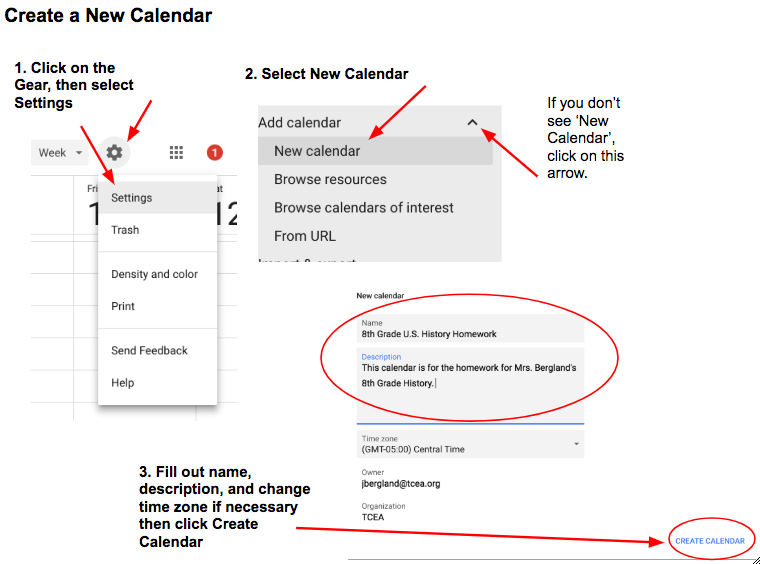 You only have to generate the homework information once and then let parents and students access the calendar at a time that fits their schedule. No more filling out homework sheets for individual students. 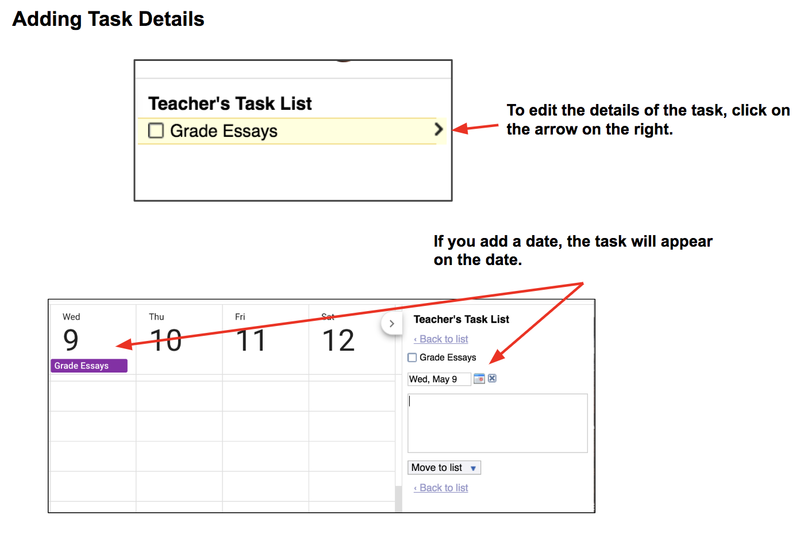 You could also assign a different student each day to enter the information on the calendar. 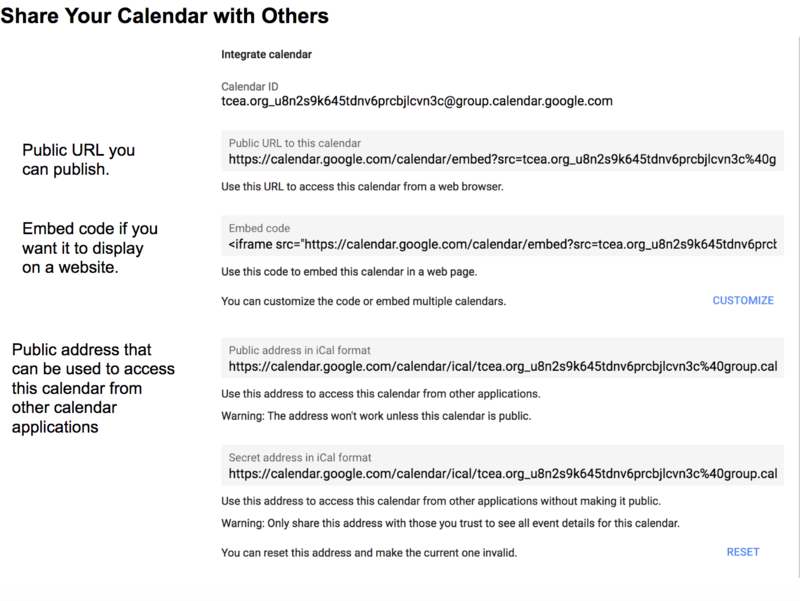 You will next want make sure you share your calendar with the public and possibly give other individuals more specific sharing permissions. Finally, you will need to decide how you will share your calendar with the world. You can either do this by copying the URL for the calendar and link to the calendar in an email or possibly post the link on a website. 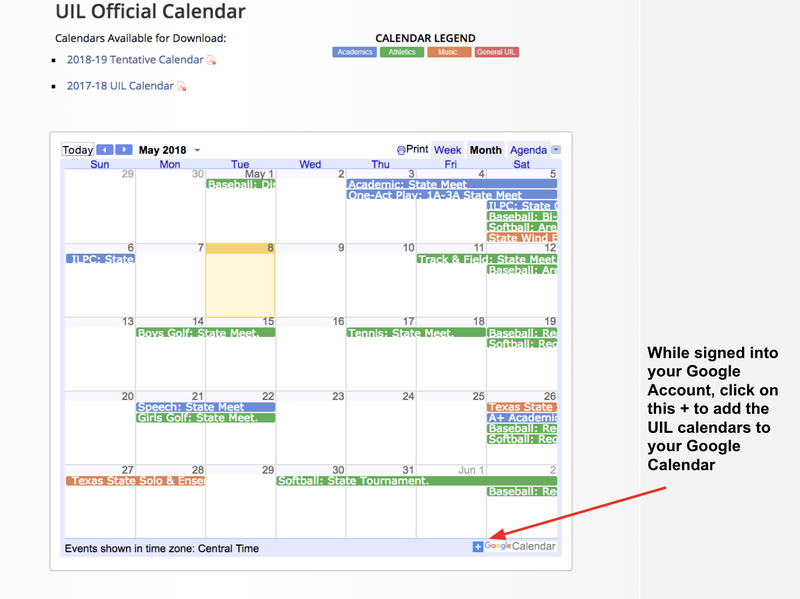 You could also embed your calendar either in a Google site or another website. And finally, you can share the iCal address with individuals who have another type of calendar application. Using Google Calendar as a place to store your lesson plans can be very useful. For each activity, create an event. 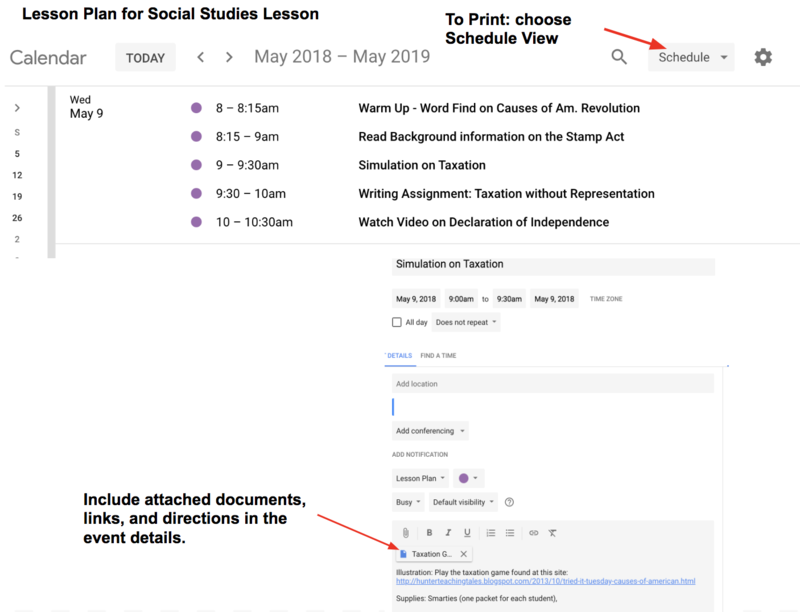 Within the event details window, you can attach handouts, links to be used in the lesson, and other instructions you might want to give your students. If you need to print your lesson plans, use the Schedule View. 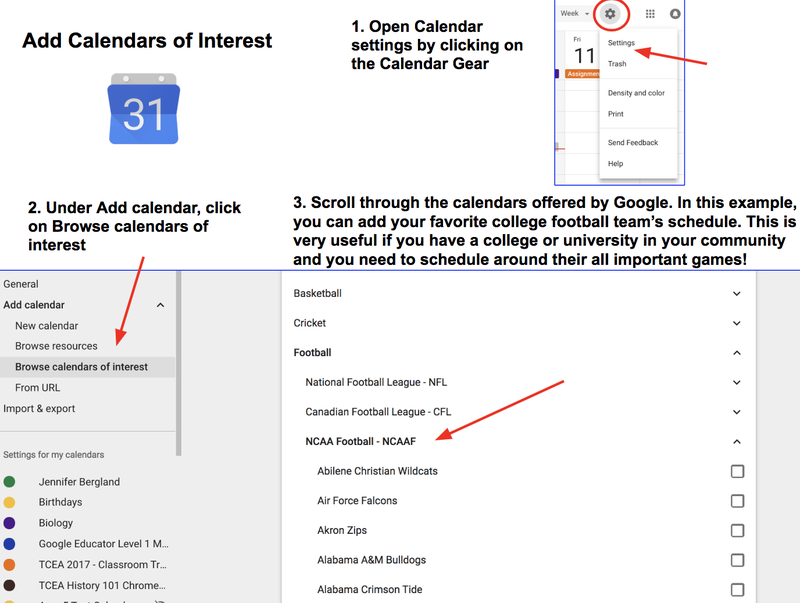 There are other calendars you can add to your Google calendar that provide you with information that you may find helpful. A great example are the UIL calendars. UIL has published their events on four Google Calendars and made them available to the public. All you have to do is subscribe to their calendars by clicking on the + sign at the bottom right of the calendar. All four will be added to your Other Calendars. Google also has some calendars you might find useful or interesting. Remember, these calendars will be added to your Other Calendars. 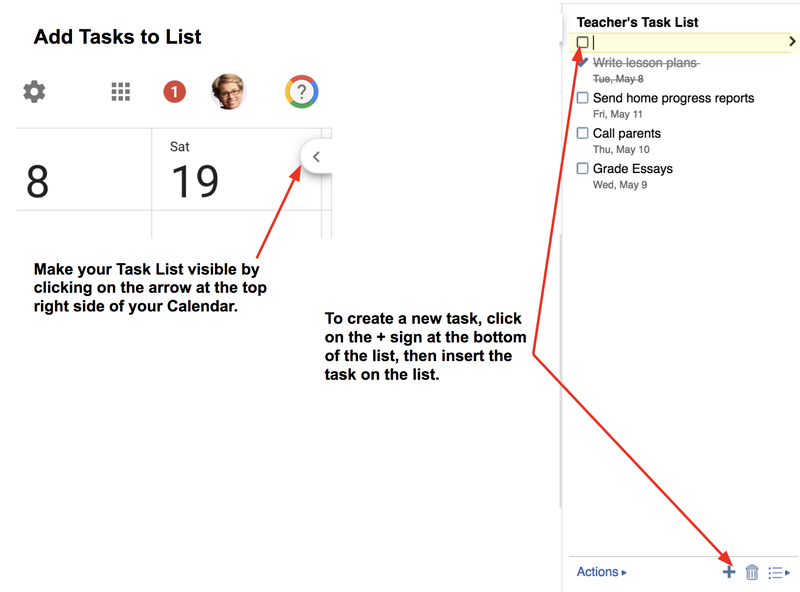 I already confessed that I’m not good with tasks, but for those that are, Google has a very useful Task list that you can access via the Gmail or Calendar app. For this blog, we are going to focus on using the Task list from your calendar. First, let’s toggle the Task calendar on. Let’s make sure the Task list is visible and you know how to add tasks to the list. Note that adding tasks to the list works exactly the same in the Gmail app. In order to view a task in your Task calendar, you must add a date in the event details. My one complaint is that the task is only visible at the top of the day it is to be accomplished. As of now, you can’t assign a specific time to accomplish the task (i.e. 8:30 am). Google, if you are reading this blog, PLEASE consider adding this feature. Instead of using a list, I assign a specific time to accomplish a task and put those directly on my calendar. I could be persuaded to use this app if I could do this via a Task list. Most people who use lists love the experience of crossing off the items that have been accomplished. This is as easy as checking a box in the Google Task list. Note that the item is crossed off in the list and calendar view. One very helpful tool in Calendar is that within the event details you can reserve a room or a resource. No more going to the library to check out the iPad cart or signing up for the library. There all kinds of uses for this feature. The types of resources can be grouped together to make it easy if the list becomes too long. 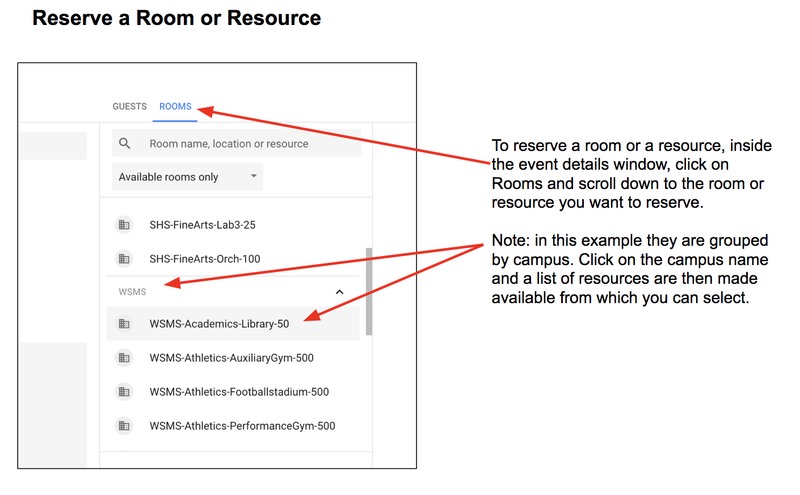 In order to use this feature, your domain administrator must enable it and create the list of rooms and/or resources. Some people love to organize with color. Google makes this easy. 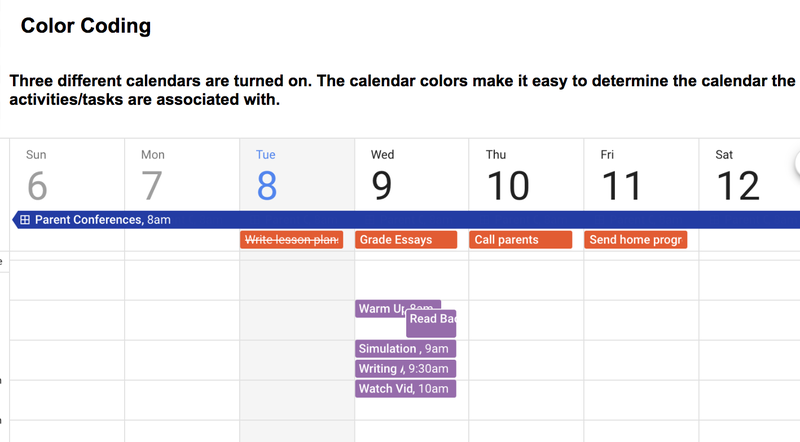 You can color code each calendar so that when you toggle them on and off, you can easily see what events go with each calendar. You can also color code each event. For instance, you could assign a color for parent teacher conferences and a different color for faculty meetings. As you can see, Google Calendar has the ability to assist you in organizing your events, tasks, and activities. Google also has a Calendar app for both Android and iOS that works very well with the online application. Make a goal to try at least one of these ideas and tell me what you think. 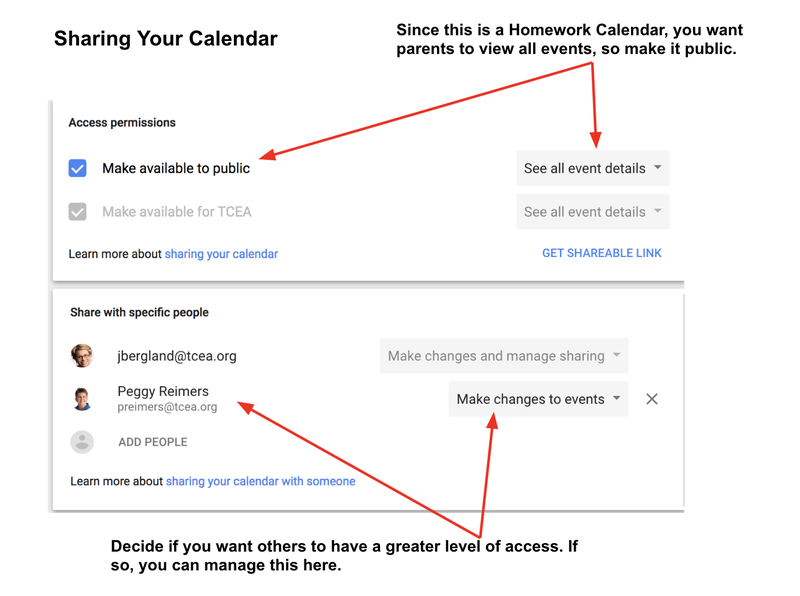 Also, if you have any other ways you use the Google Calendar in your classroom, leave a comment below. Summer Academies to the Rescue! Now is the time to start thinking about how you can recharge yourself after a long school year. At TCEA, we have the perfect opportunity for you: summer academies. You’ll find that everything is designed to get you the information you need to get you further ahead of the curve for next year AND take your skills deeper. For each academy, we have a superb lineup of talented presenters, relevant concurrent sessions, opportunities to mingle and expand your professional learning network, and good food. You’ll leave with great resources and ideas to share with your district/campus as well as implement in your own practices as a skilled educator who’s using technology to impact students. Adobe users unite! 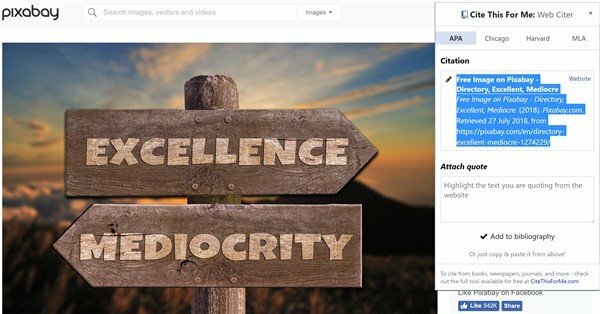 You’ll find this the perfect academy if you use any of the Adobe products yourself or if you teach your students how to use them. Innovative uses, clever work-arounds, and new features will be shared to give you the solutions and steps you need. And, if you are new to Adobe, you will find several sessions that will help you get up to speed and boost your confidence. Adobe pros haven’t been left out; our presenters have clever ideas that are worth listening to and taking note of. Make a point to attend our first annual Microsoft Academy to boost your skills in Microsoft products including Office365 and Minecraft. This is going to be a great gathering! You’ll also be introduced to mobile coding with Creative Coding through Games and Apps and gain a deeper understanding into Microsoft Makers projects and 3D Builder. You will definitely find this packed full of topics that you can’t get at other learning opportunities. Even if you don’t have a Chromebook, but use Google Suite for Education, you will find these sessions filled with new and great ideas that you can take back to transform the way your students learn. Be sure to bring a friend so you can divide and conquer on the sessions and then share with each other at the end of the day! As you can see, there are several great ways to recharge this summer. Whichever way (or ways 😉 ) you choose will inspire you for another year of making a difference as well as enhance the skills that you use on a daily basis. If you have more questions, or are interested in group discounts, contact Ashley Weiler at 512-450-5450 or [email protected].